Although custody orders normally define a custodial arrangement and visitation schedule, orders usually do not provide for any modification of the arrangement based upon a child's age. Perhaps a parenting time plan for an infant or preschooler will include a provision relating to what will happen once the child starts school, or allow the parents to return to court if they do not agree on a parenting schedule at that time. However, in most cases the schedule set forth in the initial custody order provides that it will remain in effect until the children reach the age of majority. There is no custody schedule that is best for all parents and children. While it is possible to speak in generalities about childhood development and parental contact, the best parenting schedules are tailored to the child. Just as children change over time, the ideal custody order will also evolve to respect those changes. In most cases it's best for children to remain together following the break-up of their parents' relationship. Visitation schedules will normally involve the exchange of all children at the same time, even if the ideal schedule might be different for each individual child. In unusual cases, such as where there is a significant age difference between the children, it may be appropriate for the visitation schedule to provide for some one-on-one visits. During one-on-one visits, parents may engage in age-appropriate activities with each child, something that can otherwise be complicated to achieve when children are at significantly different stages of development. As they grow, children progress through a series of developmental stages. At each stage of development, a child's needs change and an ideal custody plan will recognize those changing needs. Babies and infants require stable, predictable relationships with their primary caregivers. They need to develop a sense of trust that their needs will predictably and consistently be met. If parents separate during early infancy, ideally both will be able to remain actively involved in the infant's daily activities. For that to happen, both parents must have sufficient parenting skills to care for an infant, to identify the infant's needs, and to soothe or calm the infant. They must also be able to communicate with each other about the infant's habits, routines, rituals, and milestones. Courts will not ordinarily limit visitation or parenting exchanges based upon breastfeeding, given that the child can be fed expressed milk or, if necessary, formula. As early as six or seven months of age, an infant may start to display signs of separation anxiety. It is important for a child at that stage of development to form a strong bond with one or both primary caregivers, and to have a parenting time schedule that facilitates that bonding process. Parents should consider the child's personality and reactions when assessing whether overnight visitation is advisable, and what contact should occur between parent and child when the child is in the other parent's care. 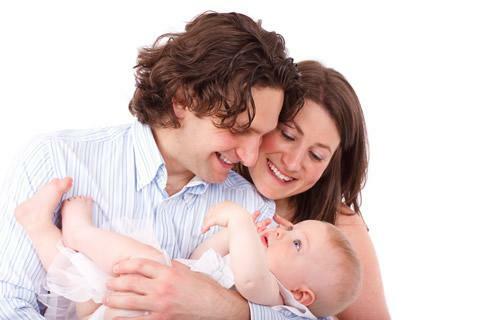 Ideally, parents of infants will be able to spend some time with the child every day. As babies become toddlers, they rapidly develop new skills and abilities, and become more expressive. Toddlers benefit from a predictable home environment, established routines and rituals. When assessing a custody schedule, parents should consider their child's personality and needs, the extent to which they can maintain consistency between households, and whether the toddler is adapting appropriately to spending time in the parents' separate households. For a toddler who has difficulty with the transition, it may be best for the child to live primarily with one parent. To the extent possible, both parents should be actively involved in the child's daily activities, including meal time, bath time, play, and putting the child to bed. Contact with both parents will ideally be frequent. While taking into consideration a child's individual personality, as a rule of thumb the child's age can be a measure of minimum frequency of contact . A child of less than one year will see both parents every day, a one-year-old will have no more than one day pass between seeing a parent, a two-year-old will have no more than two days pass without contact, and so on. With the rise of online collaborative software, parents can use a service like Google Docs to create a shared document that they may both update with important information. As children progress from being toddlers to preschoolers, they experience significant advances in their ability to communicate, their mobility, and their ability to explore and process the world. Preschoolers are increasingly aware of interpersonal relationships, including the relationship between their parents. They will pick up on stress or anger. They may have fears of separation that become more pronounced, and extended periods without contact with their primary caregiver may trigger behavioral problems. For a shared custody arrangement, co-parents will ideally create a schedule that allows for the child to spend two or three days at each parent's home, but with frequent exchanges to avoid longer periods of absence. If the child does not adjust well to a parenting schedule, it may be necessary for the child to have a primary home with one parent, but with frequent contact and a reasonable number of overnight visits with the other parent. As children approach kindergarten age, even children who initially struggled with joint parenting may become comfortable with more frequent exchanges, and spending two or three days at a time with each parent. As children start school, they will also start to engage in activities, pursue interests, and form friendships that start the process of individuation, the formation of an identity that is separate from their family. Children will increasingly recognize negative feelings and conflict between their parents, although they may not tell their parents about the feelings or anxiety that they feel as a result of their perceptions. The start of school can create significant issues for shared custody arrangements, as the parents' work schedules and distance from the child's school may significantly affect their ability to care for a child during the school week. In the early elementary years, children form a good sense of time and are thus able to understand the custody schedule maintained by their parents. A wide range of schedules may be devised, based upon the parents' schedules, travel time to the child's school, and the child's needs. The arrangement should consider the child's access to friends, activities, and the need to complete homework assignments. Ideally, parents will work together to form a consistent set of rules and of scheduled tasks that can be followed in both households. As children reach the age of ten or eleven, their independence increases, as does their willingness and ability to articulate their needs and wishes. Their peer relationships, sports and other activities will be increasingly important to them. Parents should strive to ensure that children are able to maintain contact with their friends and participate in important activities from both of their homes. During these years, some children benefit from alternate weeks in each household, while others benefit from spending most school nights in the same parent's home. It may be difficult for a child to manage activities, relationships and homework with more frequent exchanges. The child's needs and personality will vary, and the ideal arrangement will be tailored to the child. During early adolescence, although a child's life is still centered on family, the process of individuation accelerates. The child's life will increasingly revolve around school, peers, and activities. Parental guidance and supervision remains very important, and ideally parents will work together to ensure appropriate levels of supervision and a reasonable consistency of rules between households. Adolescents are increasingly likely to participate in activities, both during the school year and the summer, that should factor into the parenting schedule. When creating a parenting time schedule, parents should consider those activities, along with the need to provide consistent and appropriate supervision, transportation, and the impact of exchanges on the adolescent's school work. Parents should be aware of the importance of their relationship with their teenage children, both in terms of their children's likely behavior and their future relationships with their children after they reach adulthood. Teenagers who have strong relationships with their parents are likely to model their parents' values, rather than acting out or following a poor model of behavior set by their peers. As teens reach the age of sixteen or seventeen, they may have strong opinions about their custodial home, and may demand or insist upon changes to their primary home or the parenting schedule. Parents should not automatically defer to their children's wishes or demands, but should consider their requests – and the reasons for those requests – when revisiting the parenting arrangement. Older teens are also more likely to want part-time jobs, or to find jobs, and will want a parenting time schedule that allows them to work. They may be able to transport themselves for some of their activities, whether by bicycle, public transportation, or eventually by driving. Ideally, parents will work together to ensure that an older teen has an appropriate level of supervision, and to maintain reasonably consistent house rules. While older teens will often benefit from having more authority to make decisions, and to learn from their mistakes, parents need to avoid having one or both households slide into permissiveness if a teen starts playing parents off against each other. Not all parents will be able to work together to adjust the parenting time schedule to accommodate their children's changing needs. Sometimes that's a matter of practicality: the parents have other obligations that don't allow them the flexibility to modify the schedule. In many cases, poor communication and hard feelings make it difficult for parents to work together. Disinterest: Sometimes a parent will show little interest in parenting, or in coordinating with the other parent. Parents must also consider child support, and how adjustment of the parenting schedule will affect support payments. If one or both parents insist upon getting a modification of the child support order with every adjustment to the parenting time schedule, even if the adjustment is on a trial basis, adjustments of parenting time become less likely. At the same time, when one parent is dependent upon child support, that must be taken into consideration when the parents seek to establish an effective co-parenting relationship. Although a truly flexible parenting relationship is in many ways an ideal, the effort matters. The more parents can work together, communicating about their children and developing schedules and rules, and the more they can make adjustments that are in the best interest of their children, the more likely it becomes that they'll end up with a custody arrangement that works for everybody. This article was last reviewed or amended on May 7, 2018.